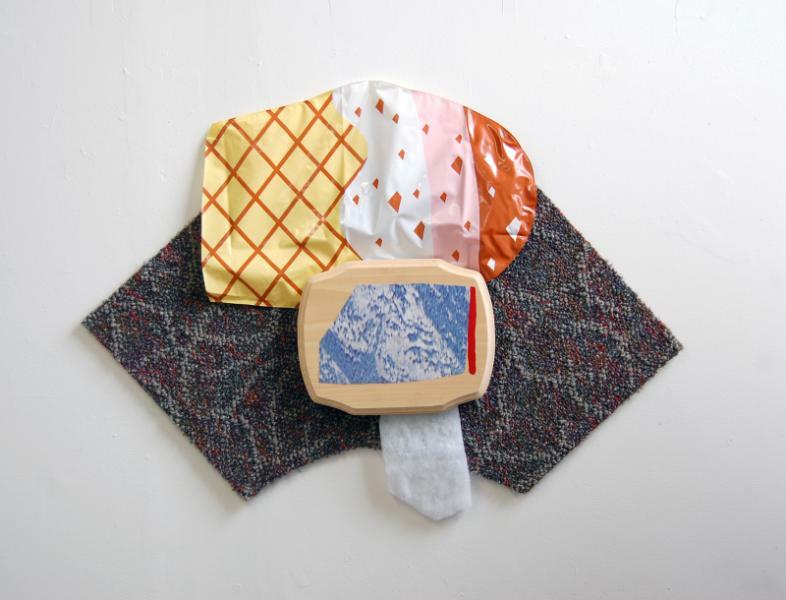 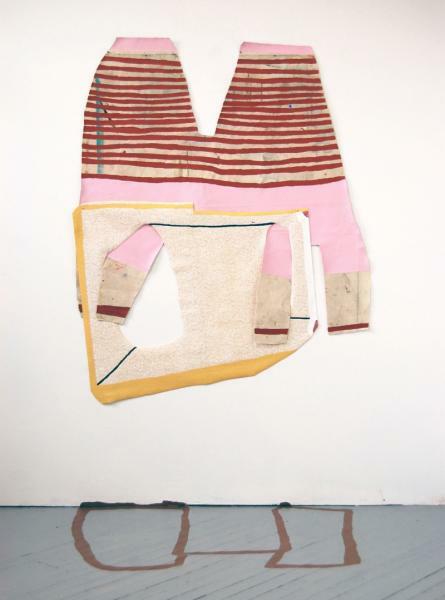 Ice Cream Collar carpet, pool float, wood, cotton, collage, latex paint, 2014, 27.5 x 21 inches. 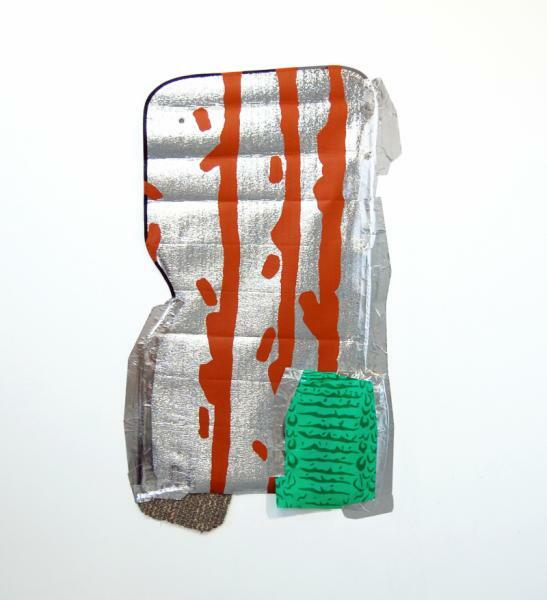 Clasp canvas, shelf liner, glitter, acrylic, latex, 2014, 50 x 41 inches. 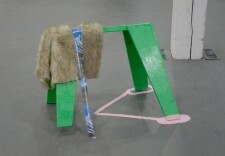 Clam Up yoga mat, faux fur, plastic flags, latex, 2014, 20 x 24 inches. 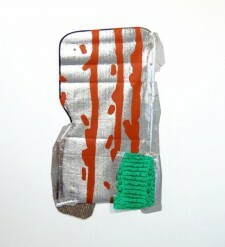 In a While Crocodile sun visor, duct tape, pool float, latex, 2014, 50 x 45 inches. Splits wood, faux fur, latex paint, paper, 2014 40 x 30 x 30 inches. 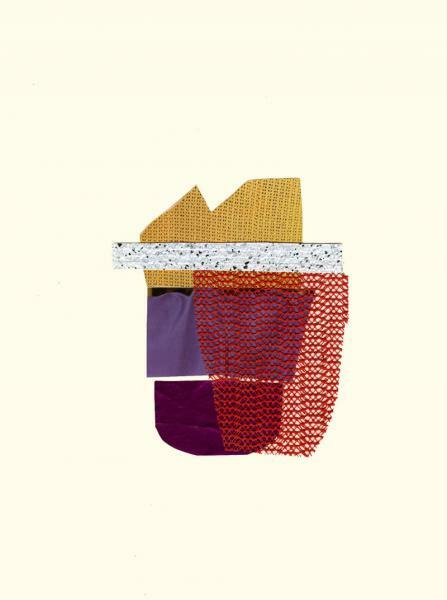 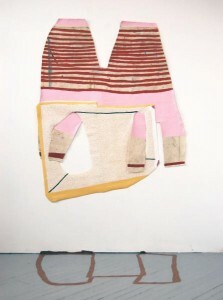 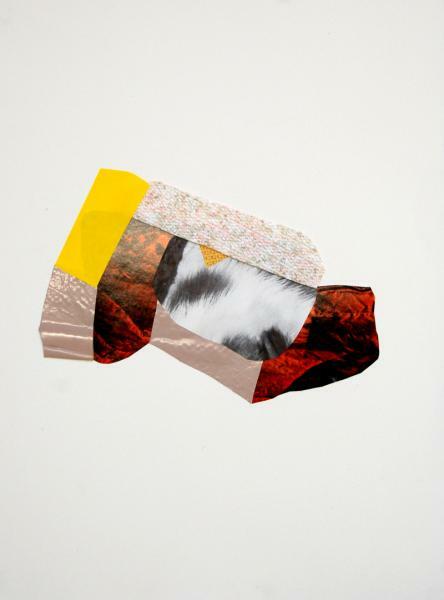 Folded and Fur collage on paper, 2014, 12 x 15 inches. 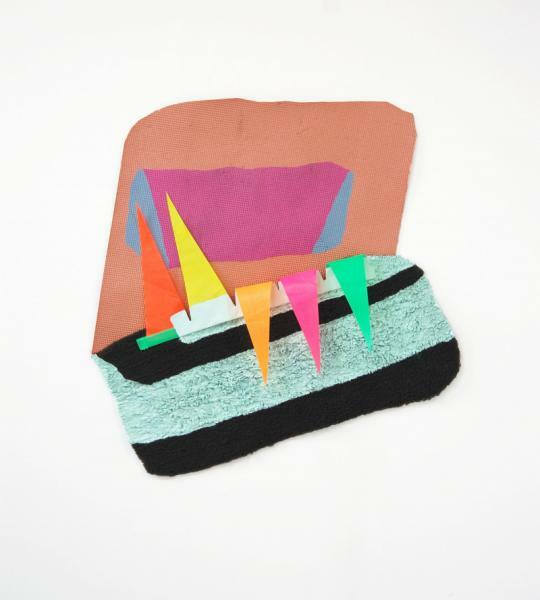 Bermuda Triangle collage on paper, 2014, 11 x 15 inches. Basket Weave collage on paper, 2014, 11 x 15 inches. 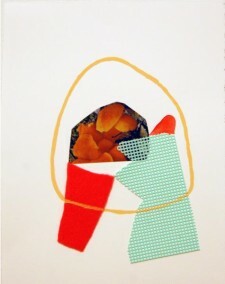 Peach Figure collage on paper, 2014, 11 x 14 inches.